The Ericsson IPOS CPI team was required to simplify the process of documenting the Management Information Base (MIB) help as this process had become very tedious and time consuming. This legacy process of developing MIB content manually by using the engineering source documents spanned for days requiring efforts from multiple resources. In addition, this process required maintenance of multiple documents in the content management system. The manual extraction of information mandated review efforts by the SME as well as test efforts by the team to ensure that the quality was up to the mark. Archana Kulkarni and Vamshi Krishna Gadiyaram (two distinguished writers from my team) came up with a process to extract the reference help content dynamically from the engineering source MIB files. This source is already verified and also validated during the software development life cycle. This ensured good quality of the end-user reference help. Applying XSLT and CSS to the extracted content, we were able to process it and even format it. We could process multiple MIB files in one go by using batch processing. Extracting content from the code base ensures technical completeness and using XSLT results in good quality output. Hence, the need for maintaining the documentation files is nullified using this process resulting in zero maintenance cost. A support ticket logged by a customer to resolve any MIB reference information issue typically spans to about 2 to 3 weeks to be resolved as this involved multiple levels of scanning and analysis, and only then would be redirected to the Technical Communications team. With the new process, customers can expect resolution of the support query in about 2-3 days, and the number of MIBs reference information related queries also will reduce immensely. This can be attributed to the fact that the new process MIB reference help uses content from the already verified and validated engineering source. This process does not require any specific tool; any free source code editor can be used to create the XSLT or batch file. Hence, this process proves to be highly cost efficient. The generation of reference help can be conveniently taken up late in the release as the entire process can be completed in a matter of few hours and it is only a one-time activity that ensures completeness and accuracy. Attendees can get to know this effective process and provide dynamic MIB content in a readable format. They will be surprised to see that complex tasks such as these that used to take weeks, now will take only few hours to complete. They can reuse this idea to apply to their own context to improve the execution efficiency for documenting MIB files. The idea can also be extrapolated to apply virtually to any reference help that is generated from developer source, such as CLI help, API help, release notes, notifications, error logs, events, and alarms. 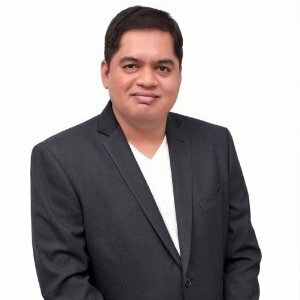 Sachin has 16 years of rich and varied experience in the field of Technical Communications, cutting across different verticals. He has grown to the ranks from being a trainee to a writer, senior technical writer, principal writer, lead, and then a Manager, all throughout understanding the issues and challenges faced by writers at each level in organizations. He has worked with six of the world’s top companies—Accenture, CGI, CSC, Honeywell, Alcatel-Lucent, and currently with Ericsson. He is a big advocate of change management and realizes that with the business dynamics in place, change is critical to survival of teams and organizations. Sachin comes with an experience in writing, training, mentoring, coaching, usability analysis, structured authoring, people management, change management, and facilitating innovation. Sachin and his team at Bangalore, India, are at the forefront of innovation and always beaming with new ideas. Sachin has done his Engineering from the University of Mumbai in Instrumentation. A thorough veteran with anything in technical writing, he is looked on by his peers and team as a people’s person and encouraging out-of-the-box ideas. He is currently managing the Customer Product Information team at Ericsson, Bangalore, and is also active with numerous vendor engagements.